Whether you own your home or rent, it’s definitely a good idea to make sure you carry out eavestrough cleaning regularly. This is especially true in multi-climate areas around Burlington, Ontario. 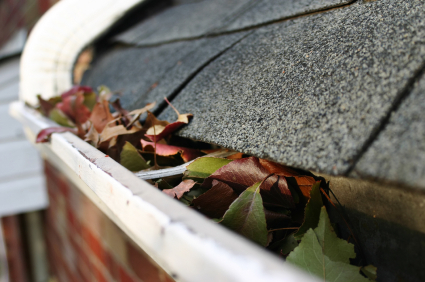 Cloggeed eavestroughs can cause a multitude of issues to your home, especially being in an area where seasons create everything from leaves and dirt to rain, snow and ice. These things cluttering your eavestrough can cause the eavestrough to pull away from your home and often lift shingles and roofing just enough to allow moisture in. Often this causes leaks to come through ceilings, sometimes completely away from where you would think the leak is at. Making it not only hard to find where the leak is coming from but often ending up costly in repairs; all of which could have been avoided with one simple call to a professional eavestrough cleaning service! A perfect example is a eavestrough being pulled off by the weight of ice, formed because the rain was trapped by leaves and debris. Once the rain freezes the weight of the water causes the eavestrough to pull on the roof, lifting it enough that ice, rain and snow can get under it. Once the ice or snow gets under the roofing, even in small amounts, it then melts from the heat escaping the home. When this happens the melting ice or snow then travels in a multitude of directions, grabbing onto various lines and places that allow the smallest of drips to turn into “puddles” until finally it comes through your ceilings. Many times it will actually go to the middle of the room, often following wires of a light or fan fixture in the center and dripping out of that area. It’s obvious water and electricity don’t mix so you can just imagine coming home to seeing this happening! It’s a frightening thought. 6 Months Guarantee! We Will Clear Any Blocked Downspouts! When we clean your eavestrough’s we guarantee our service for 6 months! Who else offers such a guarantee? Our professional gutter cleaning service is the best you can get, every downspout is blown out and tested using our “Penny Test” we blow a penny up our vacuum hose and wait for it to come out the bottom, if it does not appear we know the downspouts blocked and clear it. 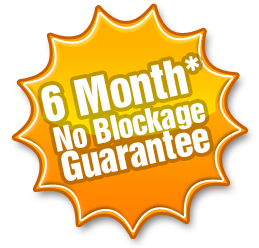 This simple process ensures 100% satisfaction for all our customers and gives us the confidence to offer such a re-assuring 6 month blockage free guarantee. 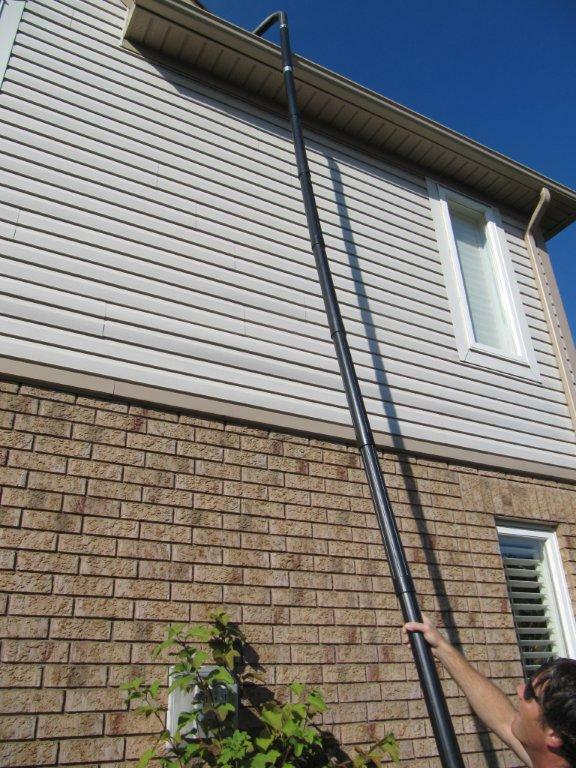 If at any time within the 6 months after we clean your gutters you have a blocked downspout simply call us out and our team will come out to clear the blockage. Do you Need Your Eavestrough Cleaning? Eavestrough Cleaning and Whitening Make your Eaves Look New Again! While eavestrough cleaning sounds easy enough to do on your own, you truly do have to be quite careful and attentive to the task. It is not as simple as just reaching up and grabbing handfuls of debris out of the eavestrough. Leaves, twigs, animal nests, tennis balls, animal debris and even animals themselves can block eavestroughs. When a eavestrough is blocked its entire purpose is defeated and water cannot run freely off your roof into the eavestrough and onto the ground or into a depository area. When this happens you put your home’s structure in jeopardy. Many homes have high eaves or even a one story home is well off the ground. It’s not a matter of standing on a chair to get up into those eavestroughs; it’s a matter of having the proper tools, such as extendable ladders and safety features to keep you from slipping. If your eavestroughs are looking dirty we can clean them up to look like new, have your home sparkling again. For the nominal fee charged by professional eavestrough cleaning companies you have to wonder if it’s worth taking the risks of doing the Eavestrough Cleaning yourself. Should you slip and fall you haven’t only hurt yourself but your family who depends on you. Whether you work full time, are retired, or not working at the moment you are an asset to your family. Being laid up with broken body parts, hurt body parts or worse yet falling to your death is not going to help anyone. Instead, take the initiative to have professionals come out and do the job. Professional eavestrough cleaning companies have the tools, supplies, and knowledge to get your eavestroughs cleaned out fully without doing damage to any part of the eavestrough or roofing. They can also spot problem areas, knowing what to look for and where typical problem areas occur. The best part is that you can do all of this without ever moving from your chair, knowing that your home, yourself, and your family are all safe and ready for another year of weathering. We use the latest gutter vacuum technology to safely clean your eavestroughs/gutters, our gutter vacuum system ensures total safety, and minimizes damage to landscape and eaves. We can safely clean eaves for properties up to 3 stories. Should we need to use our ladders to clean your eaves we use ladder standoffs and stabilizers to ensure no damage occurs to your eavestroughs. Take the time to make a simple phone call to 905 966 0838 and schedule your appointment today with Cleaner Windows to clean your eavestroughs. 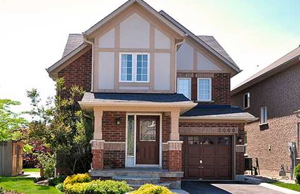 Our service area covers homes and businesses in Burlington and surrounding areas of Oakville, Hamilton, Mississauga, Milton, Waterdown and Stoney Creek. If you’ve been putting off this messy, smelly job for months you don’t want to wait any longer. It’s time to call the professionals for Eavestrough Cleaning and ensure your home is safe all year round. 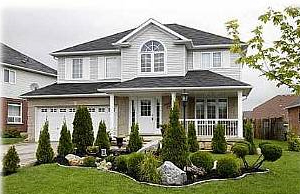 Professional eavestrough cleaning isn’t an option; it’s a must in climates like we have here in Canada. Call us today to schedule your eavestrough cleaning today.